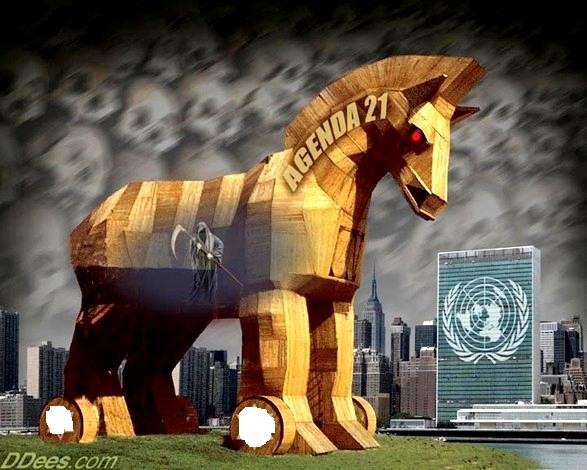 What is Agenda 21 and How does it affect you? In 1992, The United Nations held a meeting in Brazil they lovingly called an “Earth Summit”. At that meeting, a book and concept were introduced called Agenda 21. This “new” concept was a Utopian ideal that brought together sustainable development, social justice, economics and more to ostensibly create an ideal future for the younger generation. It was a plan to change the world, starting at the global level and working down to a local partnership. But, hidden by the Utopian ideals of saving the environment and empowering the lower classes were much darker, even diabolical ideals that are the stuff of comic book villains: Population control, loss of sovereignty, land and property seizure, human slavery and the like. Sound crazy? Dr. Evil, the evil heroin from the Austin Powers movie couldn’t have come up with anything more terrible for the future of mankind. The trick behind Agenda 21 is that it is made to be appealing to young, idealistic people who wish to make a positive change to the future. For example, a young person might see the Agenda 21 concept of sustainable development as a great thing for planet Earth. Re-wilding, green building, alternative energy, sustainable growth, etc. are all noble ideals, after all. What you don’t hear is who authored the core of the Agenda 21 ideals – it wasn’t a think tank of altruistic humanists. Instead, the author is none other than the leader of the World Socialist Party – Gro Harlem Brundtland. And things like re-wilding mean taking land from individuals and giving it to the government, which is decided by a small group of bureaucrats. 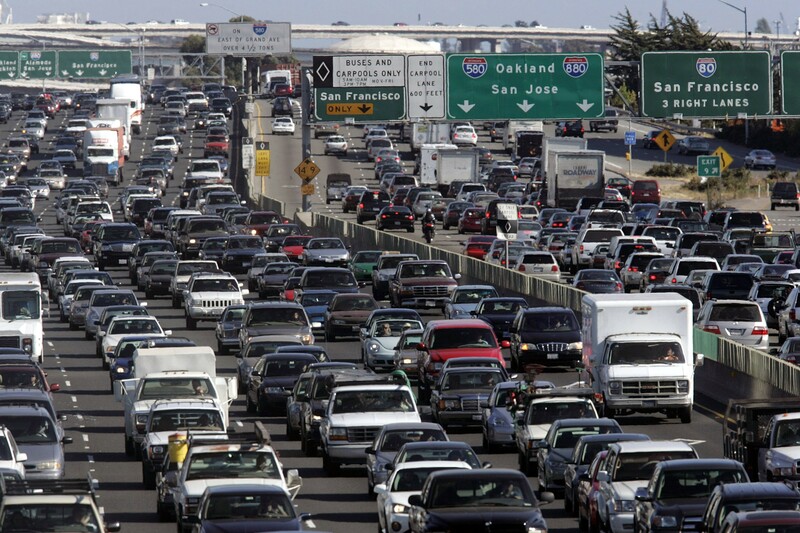 Sustainable growth may equate to limiting where you can live, or restrictions on your property. It also may mean population reduction. Unfortunately Agenda 21 is full of Socialist ideals that are disguised by environmentalism and progressive attitude. And the ideas of agenda 21 go against what men like Jefferson, Washington and Franklin warned about so many years ago. At the root of this issue, our American freedom is at stake. Please research it for yourself. 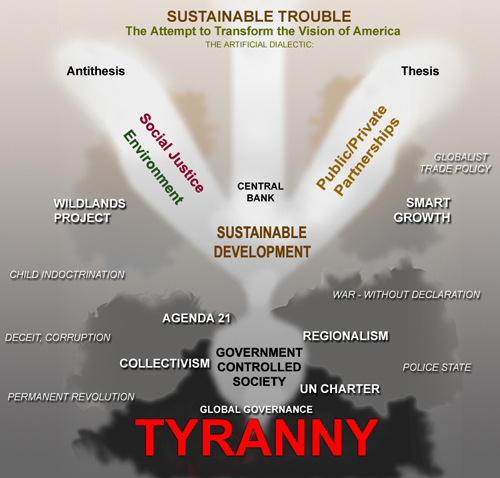 Agenda 21 is not coming to America; it’s already here. And it smells a lot like tyranny to me. Does ISIS Have a Stingray? Recently I was contemplating the threat level of the international terror group known by most people as ISIS and by patronizing politicians as ISIL and the Junior Varsity. The group, whatever the name, has risen from suppression to the most well funded terror organization in the world and continues to conquer land in the Middle East killing everyone in their way or with dissenting beliefs. They are funded the typical way any mob organization would be, but just imagine the mafia on steroids. If there is a revenue stream they take it. From stolen oil being sold under the table to toll roads all over their conquered territory to illegitimate tax collections, this organization is well organized and gaining momentum. Now, you may be asking “who cares? 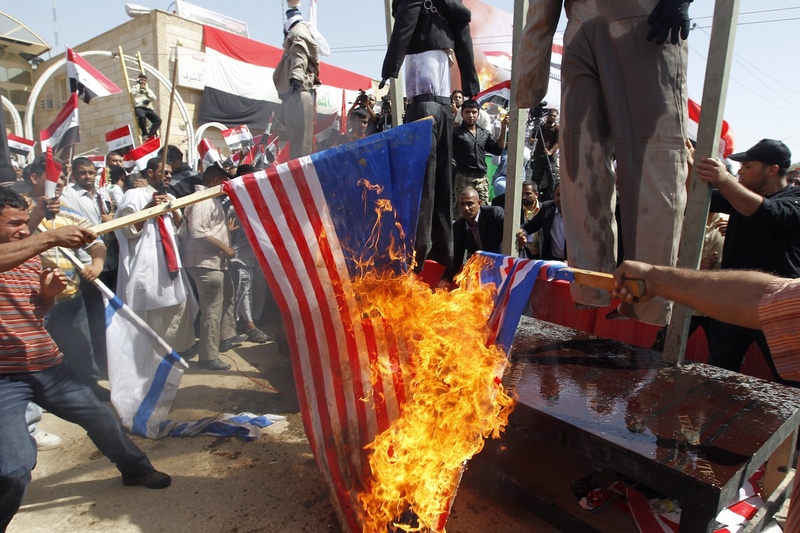 It’s the Middle East!” The only problem here is that t ISIS has its sites set on America. Many young men and women in the united states have fallen prey to the glamorous forecast offered by ISIS and are joining in droves. Whether contrived or grass roots this movement has become a real threat to national security and now they have already struck in Texas and are planning to strike more targets. When a well funded group with ill will and operatives inside America begin working against us the threat level is the sky. This is where the question in the title comes along. Does ISIS have a Stingray? “What is a Stingray?” you ask. There is plenty of documentation about it but in short, a “Stingray” is the brand name for the most popular of the spying devices that can jam radio and phone signals, check phone data, and identify people by mimicking their phone signals as well as listening to phone calls indiscriminately. If it sounds familiar you may remember that police and sheriffs around the country have been buying and using them secretly against their own citizens. Recently we even blogged about airplanes equipped with the item to fly over you and pick you out of a crowd by mimicking your cell phone signal. So, how much does it cost? The price starts around half a million dollars and goes up as you add accessories. Do you really think the best funded terror organization in the world can’t afford a $500,000 item? This is the concern I have always had. I know most of the time these guys trying to fight crime won’t misuse the item, but the product is available to criminal organizations as well. Even if they are made illegal well funded terror groups can still get them. Never under estimate the power of these evil organizations. Never trust your cell phone. 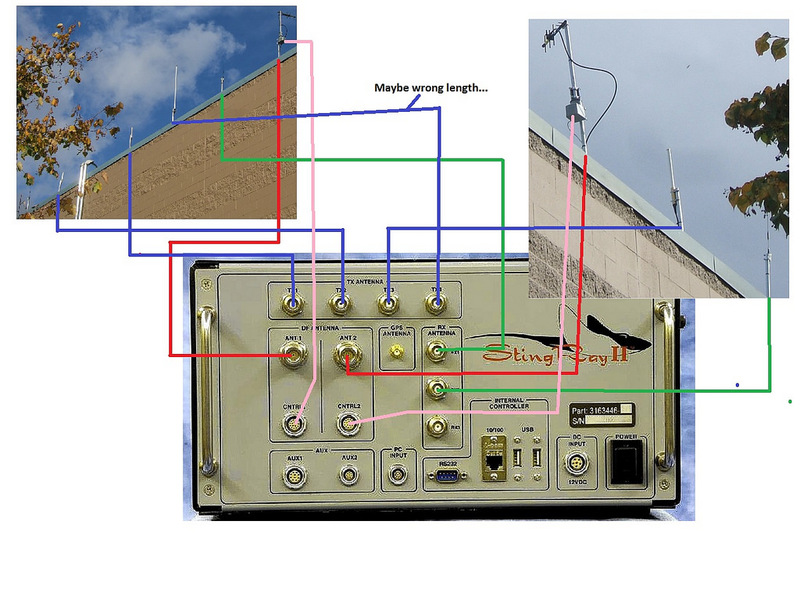 I believe wholeheartedly that ISIS has a Stingray or at least something similar to it. There is no need for them to have anything generic. They can afford the best equipment to bring you down. Don’t be a victim! Unfortunately if you are interested in privacy you are a potential terror threat. You are just as dangerous as ISIS to the safety of the public according to the recently released 72 characteristics of an extremist that will be discussed in the upcoming conference on extremism. I listed all 72 of the characteristics here but I wanted to add one more characteristic that I think makes you very dangerous: Being a red blooded American with actual feelings and opinions is the most serious sign of extremism in my opinion and you may need to spend some time at Guantanamo Bay. I would tell you what to do to be less extreme but I think these points all cover anything you could possibly do. So my suggestion: be more private!! 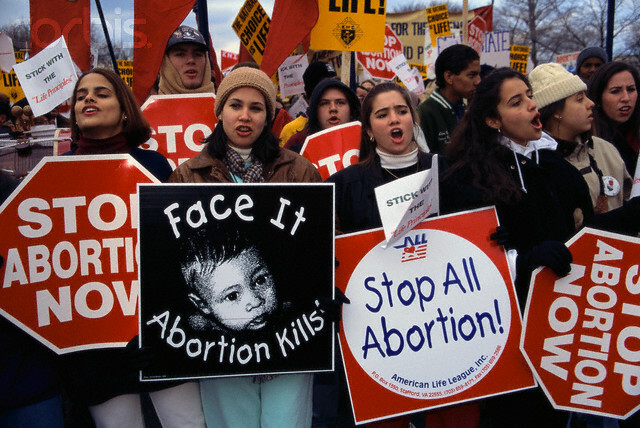 Here are the 72 signs that you are an extremist. I fit several of the categories. How many do you fit into?